Life & The Sunday Series - Page 146 of 148 - Find your why and find your way. Become more. 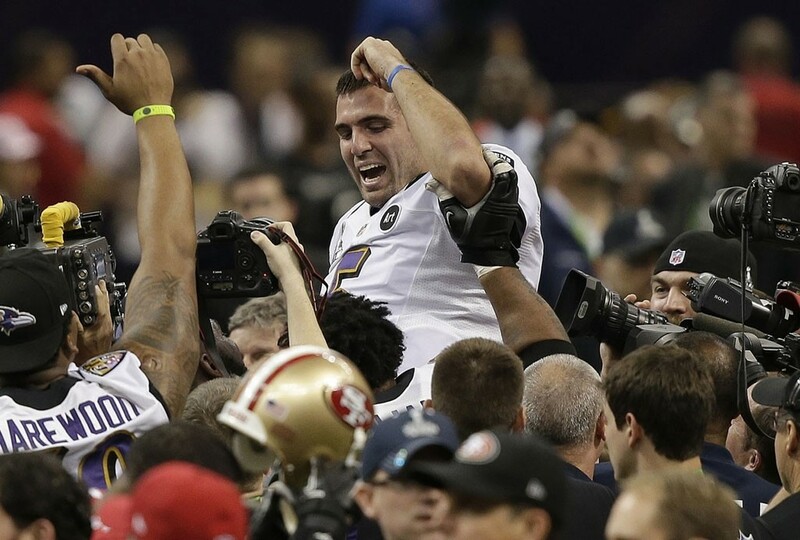 How appropriate that Joe Flacco is going to Disney World, the place where dreams come true! Hate to say I told you so. Actually…. no I don’t!! If you read my last blog from Friday, (“Too Blessed to be Stressed”), I confidently predicted the Ravens victory in the Super Bowl, based on something that was way bigger than what happened on the field: daring to dream. Dream realized. And it was BIG. Not just the game, but the opportunity to watch it with my girls. Just us. To be able to share that moment with Debbie, Sophie and Emily, just the four of us. The chance to embrace all three as the clock hit :00 and then watch as Sophie cried tears of joy over our Ravens becoming Super Bowl champs. I had the chance to go to New Orleans, albeit with a single ticket, but didn’t want to miss this moment with my family. The players will tell you straight up, it doesn’t happen that often, it might not happen again, (we certainly hope that’s not true), and its so hard to get to that mountain top. Sharing that “moment” with those closest to my heart meant everything. But back to the game… and games for that matter. Three different post-season games, all with the same predictions by most football experts. The Ravens would lose. From Denver, to New England to New Orleans. Yes, they’re “experts” alright, reading the stats and looking at the plays, the coaches, the players on paper and on video and trying to see how past actions predict future events. Problem is, unless you are immersed in the story of “your” team and “your” city, you can’t possibly understand. I said it. Dare to dream big, have the vision, develop a plan to make it happen, overcome adversity, obstacles and everyone else who is telling you there is no way you can pull it off. But if you find a way to stay focused on that singular goal, embrace the vision in your heart and grind it out… that’s right, true grit, that’s when something special happens, because the stars align, the universe opens up and miracles are possible. There was never a doubt. Even when the lights went out. Even when momentum shifted so hard it seemed like an unstoppable train was going to run right over the Ravens and crush their hopes and ruin Ray’s last ride. How fitting it all ended with a goal-line stand by the defense of a team that Ray has lead for more than a decade and a half. The players may have changed, but the message always the same, don’t give in and never, ever, ever give up. How many times do professional athletes get to go out their way? Ray Lewis and a higher power wouldn’t have it any other way. And talk about purpose and sacrifice, and overcoming adversity. O.J. Brigance, the team’s inspiration during so many recent seasons said it best, “in life there is purpose wrapped up in pain”. He would know, he’s hanging on with all he’s got. So many Ravens this year, found a way to fight through what seem to be unbelievable odds: death, injuries, controversy, the whispers and even the loud proclamations of being told you are just not good enough. Especially the quarterback. To coin a legendary baseball phrase from many years ago, “Say it ain’t so Joe”. Joe said it loud and clear, for all the world to see. MVP of the Super Bowl. As ESPN anchor Stuart Scott loves to say, Flacco “was as cool as the other side of the pillow”. And as I wrap it up, and it ain’t easy to wrap a story like this… what a year to be a Baltimore sports fan. From the miracle the Orioles launched in April and their return to the playoffs after a 15-year drought, to Michael Phelps incredible performance in London, becoming the most decorated Olympic Athlete of all time , to the Ravens making the dream playoff run a reality and getting Ray his Super Bowl ring. If you still don’t think Charm City is special, its time to check your ‘Hon card at the door. See ya in Disney World, ‘hon. Where do I begin? With a dream. Isn’t that how the greatest ideas & events take shape anyway? Someone has to dream it, believe it and go out and achieve it. Sunday will be that day for Ray Lewis and the Ravens. Go beyond the trash talk, the accusastions, the misinformation, the match up mismatches, the playbook, the betting line, the rhetoric, media day and all the mayhem. Purpose, passion and that dream will take center stage on Sunday. You can feel it, you can sense it, you can almost taste it. The Ravens are on a mission and will not be denied. There are two very good teams taking the field on Sunday, but when you got it, when you want it, when you can see it, when you can feel it, and when you put a plan into action, I can’t tell you why, but it just happens. I’m not betting on the game, but I’m betting on that dream, leaning on faith and if you want to go all the way, believing in a higher power (the same one Ray is calling on) to wrap up the miracle playoff run and bring the Lombardi trophy back to Baltimore. Sometimes the universe is ready, the stars align, and your vision, your dream, becomes reality. The Ravens know it. Hell, they’ve known it for a month now and we all just joined the party. Legends are made in the post season and this season one of those legends is playing his last game on sports biggest stage. Its destiny. Give it all you’ve got, leave it all out there on the field, don’t dare to let yourself think about second chances, there are none. Put your head down, put blinders on and go out and play your heart out. Play after play after play. You can rest on Monday. You can party during the off-season. This is business and in business you get serious, you grind it out and you accept nothing but the best, nothing short of total success. These Ravens are ready. They have a purpose, a mission to get Ray Lewis that last ring and prove everyone wrong. It’s become a mission and a purpose for the team because of what Ray has given to them: his heart, his soul, his leadership. When you give back, you get, many times over. When Ray announced his retirement he made the whole team partners in his mission, his last stand, and they have responded by giving everything, including creating some miracles along the way, to help him get the one thing he wants so badly, the ultimate in team success – The Super Bowl Ring. A dream is a fragile thing, yet it can be the most powerful thing in the world, IF you believe. Still not believing in the dream? Have no fear. I’m sticking with Ray. He’s “too blessed to be stressed”. Amen, brother. Amen. Until next time, thanks for taking the time. GO RAVENS!! 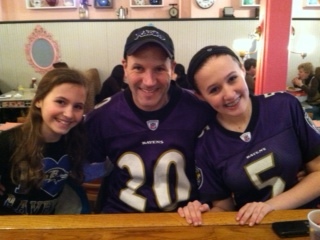 Nothing like a good ol’ Ravens Super Bowl rally and time spent with my two (little) girls to get you in the spirit of life. Back at the beginning of the month it was a day I set aside on my calendar to spend time with Sophie and Emily, since school was closed that day. It was supposed to be an early morning of snow tubing up in the mountains of PA, but the day before I saw the forecast for Monday and knew that was probably not going to happen. A thin layer of ice covering pretty much everything, made the trip up north a bad idea. But then I realized the Ravens were going to be at the Inner Harbor at lunchtime for a last minute Super Bowl rally before heading to New Orleans… and it seemed like we had a plan. It actually took a little convincing since the weather pretty much sucked when I woke up, and even into late morning, but the ice pellets turned to rain and I turned on the reasons for the girls why we should go. 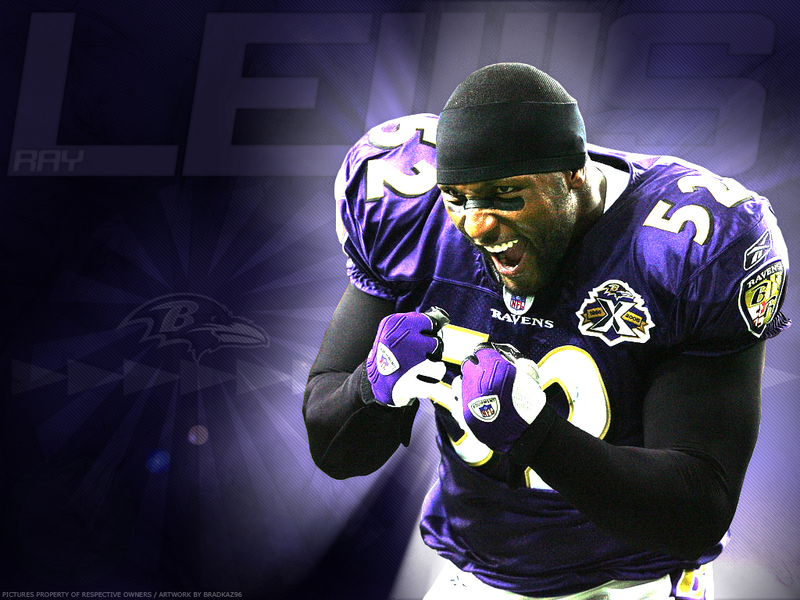 Let’s go see Ray Lewis one last time… live and in person. Who knows, even if the Ravens win the Super Bowl, if we’d make it to the parade. There are no guarantees, and today we had the time and the purpose. My girls like sports, but they don’t like cold and rain. 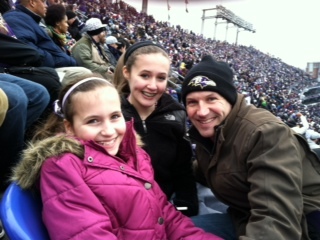 I told them to get on their Ravens gear, a pair of gloves a warm coat with a hood and it would all be good. And it was. We drove downtown, and made our way through the sea of purple people. It was crowded, but I knew Sophie especially likes the crowds and the energy. It was tough for Emily to see, but I kept lifting her up when the “good parts” happened, and I knew she too especially wanted to see Ray Ray. Half the time she couldn’t see a thing, but Emily is great like that, most times she just goes with the flow… with little complaining. The rally was worth it. Plenty of chanting, plenty of hollering, another chance to answer the age old question, “What time is it?’ and to prove there are some “dogs in the house!” It was inspirational to hear Ray Lewis, Jon Harbaugh and Ed Reed take to the mike. And then there were the fireworks, confetti and the cool sight of the buses pulling away down the streets of Baltimore, on their way for a chance to dance with history. My day was history in the making. Sophie, Emily and I headed up Pratt street to grab lunch and then we hopped in the car and over to Hampden for chocolate milkshakes at Cafe Hon. A couple of the waitresses said I looked so familiar, and realized that was because they watched me during my years at WJZ-TV in Baltimore. My girls were delighted to see the ladies were excited that “The Blade” was in the house. They still get a kick out of it when it happens. I spent 15 years in my prior career at that TV station, doing live shots as producer and reporter on the morning show, got to have my own segment called “Fly Friday” and won an Emmy as a producer of the 5pm news. It was a good ride. No regrets. It was a great day to spend with the girls. And at bedtime, when I came in to say goodnight to Emily, I asked her if she had a good day. She said “yes, it was fun” and said she felt famous at Cafe Hon when they realized I used to be on TV and, oh yeah, by the way I’m her Dad. I asked her if she missed me working there, (and to be honest, I was only doing live-shots as a free-lance reporter by the time she was born), and she said “no, she didn’t care”. I told her if I was still there, doing the same thing I had been doing, there was no way we could have attended the Ravens rally together, because I would have been WORKING it. Sophie knows the story a bit better than Emily. She knows why I left TV, because of the responsibility of the two jobs I was doing at the time, as a reporter in the early morning and as a producer for the 5 o’clock news. The lack of flexibility in my schedule seriously cut into my hours to be at home. I was leaving for work at 5am and getting back home at 7pm. It was too much. And the one thing I knew I would regret, big time, was missing Sophie & Emily growing up. It was unacceptable. Sophie’s birth started me thinking and eventually led me to the decision to make a change. I never, ever wanted anyone to tell me I couldn’t spend time, or take the time to be with my girls. Their spirits are what lift mine every day. Yesterday was yet another chance to share our spirits together. That’s my Super Bowl, every day. Now…. it’s the Ravens turn.